SECTION 1. This not for profit organization shall be known as THE DELAWARE EQUINE COUNCIL INC. SECTION 2. 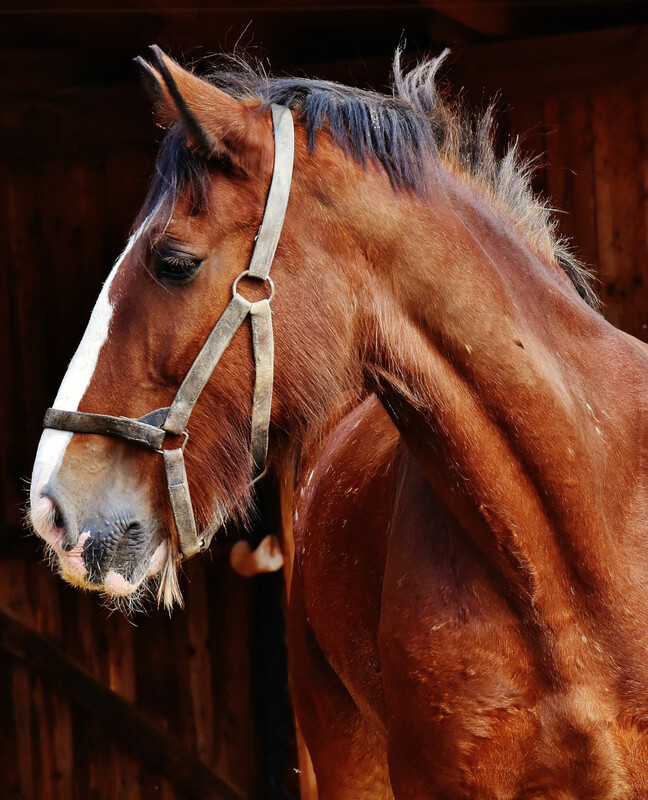 It shall be composed of members who are interested in the protection, promotion and enhancement of equine and the equine industry in the state of Delaware. SECTION 1. 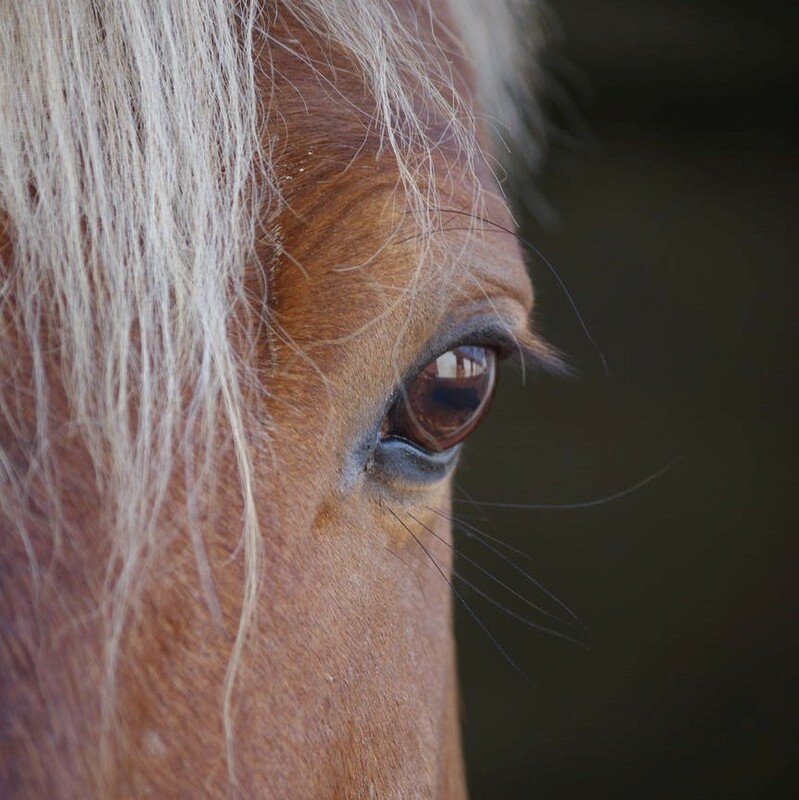 The purpose is to promote, protect and enhance the keeping of equines in DELAWARE, and to support all equine endeavors in the First State. SECTION 2. To provide all persons with contacts, information, education, and liaisons with the government. SECTION 1. Meetings shall be held monthly, except June and December. SECTION 2. A quorum of seven (7) members in good standing, two (2) of which must be officers, must be present in order to conduct a business meeting and to pay bills. SUB A. At Board meetings a quorum will consist of two thirds of the board members. SUB B. In critical situations, where a quorum does not exist, outstanding bills may be paid. SECTION 3. Special meetings may be called by any board member with the consent of the president when deemed necessary. The purpose of the meeting should be stated. SUB A. No business may be conducted at such a special meeting other than the business for which the meeting was called. SECTION 4. The Board of Directors will prepare an annual budget and present it to the general membership for review and vote at the October meeting. SECTION 1. The officers of the Council shall be President, Vice President, Secretary, and Treasurer. Terms for these offices will be two (2) years, with the President and Treasurer elected in one term and the Vice-President and Secretary elected on an alternate term. SECTION 2. The Board of Directors shall be comprised of no less than four (4) and no more than eight (8) elected directors from the membership, and the Officers of the Council. Directors’ terms will be for three (3) years, held on a staggered basis. SUB A. In order to be elected to any office or appointed to any committee, you must be a member in good standing. (Refer to Article VI, Section 4, for description of member in good standing. Refer to Article VI, Section 2, Sub A for basis of declaring a member not in good standing). SECTION 3. No more than one (1) member from a household shall have the authority to sign a check or voucher. SECTION 4. Indemnification: The Council shall indemnify persons acting in an official capacity on behalf of the Council in the manner and to the extent set forth in the By-Laws or applicable law. However, if two or more persons seek indemnification with respect to one or more proceedings that arise from a single transaction or occurrence, or closely related transactions or occurrences, the Board may condition indemnification, in whole or in part, upon agreement of those persons to joint representation by legal counsel (who may be counsel for the Council), except:(1) as to matters with respect to which legal counsel concludes joint representation is impermissible under applicable Rules of Professional Conduct or would materially prejudice the ability of a jointly represented person to assert a defense that in good faith is available to that person or to assert a mandatory counterclaim; or (2) if a court determines that joint representation by legal counsel is unreasonable under the circumstances. In addition, the Council may, in the sole discretion of the Board of Directors, indemnify such persons or any other person under such circumstances or different circumstances as the Board of Directors shall deem appropriate as long as the Board reasonably believes such indemnification to be in the best interest of the Council. SECTION 1. Duties of the President: It shall be his/her duty to preside at the regular and special meetings of the council. The President shall appoint all committee chairpersons, appoint the nominating committee and perform all such duties as prescribed by the current edition of Robert’s Rules of Order, the parliamentary authority adopted by this Council. The President and/or the Treasurer and/or one other designated officer shall co-sign on all checks. SECTION 2. Duties of the Vice President: Shall preside at meetings in the absence of the President. He/she shall advise and assist the President in the decision making process for various issues, and shall perform all such duties as prescribed by the current edition of Robert’s Rules of Order. SECTION 3. Duties of the Secretary: Shall be to keep accurate up-to-date record of all business of the Council. Shall record and transcribe minutes at monthly meetings. The Secretary shall also be responsible to have with them at all the meetings communications as the Council may receive and to read same at the regular meeting. The Secretary shall also be responsible for answering and writing communications as may be required from time to time. The Secretary shall be responsible in the event he/she may not be able to attend a meeting to make the books available so the Council business may be transacted. SECTION 4. Duties of the Treasurer: Shall be to disburse and receive all monies and to keep accurate records of the same. He/she will provide up to date financial status at the monthly meetings. SUB A. A check drawn on the treasury, properly signed by the President and/or the Treasurer and/or the other authorized signatory shall be required for any and all disbursements of monies. SUB B. An annual internal audit of the finances shall be conducted by an ad-hoc committee one month prior to new officers taking office. SECTION 5. Duties of the Directors: Shall be to advise on all operations of the Council and settle any questions or questionable practices. Directors are expected to help coordinate activities such as; but not limited to the Directory, Scholarship Dinner, DE. Horse Expo clinician(s), Newsletter, Fair Booth, etc., and may be requested to fill assorted responsibilities as set forth by the President or in the Standing Rules. SECTION 6. Vacancy: A vacancy occurring in any office except the presidency may be filled by appointment by the Board and will be effective until the next regular election, at which time the position will be filled for the remainder of the unexpired term. SUB A. Upon the vacancy of the office of President, the Vice-President assumes the position for the remainder of the unexpired term. SUB B. All outgoing Board Members are required to relinquish all Council records and property at the end of their term, so that newly elected Officers shall have these items in-hand by the first official meeting of the new year. SECTION 1. Membership in the Council shall be open to all equine related organization and interested individuals. There shall be four (4) categories of membership: organizational, commercial, individual adult and individual youth. SUB A. Organizational membership is open for breed groups, activity clubs, and professional associations. Annual dues shall be twenty-five dollars ($25.00) and will have one (1) voting right. SUB B. Commercial membership is open for any business, service, professional, farm, or stable. Annual dues shall be thirty-five dollars ($35.00) and will have one (1) voting right. SUB C. Individual adult membership is open for any adult age 18 and older that supports the goals and objectives of the Council. Annual dues shall be twenty dollars ($20.00) and will have one (1) voting right. SUB D. Individual youth membership is open for anyone under the age of 18 that supports the goals and objectives of the Council. Annual dues shall be ten dollars ($10.00) and will be a non-voting membership. SECTION 2. Members are expected to exhibit courtesy to each other and any Council guests at all Council events and when out in public. At these times, they are representatives of the Delaware Equine Council, acting as ambassadors, and as such are expected to spread good will, exemplify good sportsmanship and proper horsemanship. SUB A. Should any member act in an objectionable, offensive manner deemed damaging to the Council and its stated objectives, such behavior will cause any member or the Board to submit a letter/letters of protest, and a review of the incident will be conducted by the Board, with disciplinary action taken where necessary. If disciplinary action is deemed appropriate, a written notification will be sent to the offending member. A copy of the notification will remain in the Council’s records. Membership in the Council may be suspended for a period or terminated for cause upon the affirmative vote of two-thirds (2/3) of the entire Board of Directors. For this purpose, “cause” shall include a violation of these By-Laws or other rules of the Council, or conduct prejudicial to the best interest of the Council. Any member found to be in violation will be considered to be a member not in good standing. Upon resignation of the member. When dues are overdue in excess of forty-five (45) days. By a vote of the board of directors, providing the member has been notified as to the cause of the vote and permitted to have a full hearing before the board of directors. SUB A. All memberships’ annual dues must be paid by January 31 to the Treasurer. Displays a positive attitude and courteous behavior as outlined in Article VI, Section 2. SECTION 1. No proxy or absentee votes are permitted. SECTION 2. The president shall appoint a nominating committee in the month of August. SECTION 3. Elections for officers and directors will be held in the month of November. President and Treasurer to serve the same 2 year term beginning in January of the even numbered years.In the odd numbered year elections, the Vice-President and Secretary will serve the same 2 year term. The term for Directors shall be three years beginning in January on a staggered basis. SECTION 1. Any officer absent for three (3) meetings unless he/she is sick or working may be removed from office by putting a motion for said removal and a majority vote in favor thereof. SUB A. Vote to be taken by secret ballot. SECTION 2. In the event of such vacancy or dismissal, the Board may appoint a replacement to fill that office until the next regular election. SECTION 1. The rules contained in the current edition of Robert’s Rules of Order Newly Revised shall govern the council in all cases to which they are applicable and in which they are not inconsistent with the by-laws and any special rules of order the Council may adopt. SECTION 1. These by-laws may be amended at any meeting of The Delaware Equine Council by a 2/3 vote provided that the amendment has been submitted by the Board of Directors at the previous regular meeting. SECTION 1. Upon dissolution of the Delaware Equine Council Inc. all outstanding bills must be paid. Any and all remaining funds will be given to a charitable organization at the discretion of the Board of Directors. SECTION 1. These By-laws were approved and adopted by revision at the regular meeting held on the 16th day of September 2013. Meetings are open to all members and the public. The Secretary will keep an attendance sheet and minutes of all meetings. There will be no checks signed in advance. Both officers must be present when the checks are signed. All officers shall contact the President or Vice President if they are unable to attend the meeting and provide any information needed for conducting the meeting. Membership runs from January 1 through December 31 annually. Dues must be paid by January 31st to maintain active status. Upon renewal, members are requested to fill out a new form when any information changes to help maintain accurate records. May purchase ads for newsletter, at a reduced rate. All members can assist DEC with activities of his/her choice such as Newsletter, Membership, Directory, Fair booth, Publicity, Safety, Trails, Website, Barn tours, Legislative, etc. A Membership roster should be prepared and distributed to the officers prior to the April meeting by the Membership coordinator. All new members shall receive a membership packet when attending their first meeting. The President will appoint a nominating committee in the month of August. Elections for officers and directors will be held in the month of November. President and Treasurer to serve the same two (2) year term beginning in January. The following election year, the Vice President and Secretary will serve the same two (2) term beginning in January. The term of the Directors will be for three (3) years beginning in January on a staggered basis. Beginning in 2014 the President and Treasurer will serve their first two (2) year term. Beginning in 2013 the Vice President and Secretary will serve their first two (2) year term. All requests for donations from the Delaware Equine Council must present a DEC Donation Request Form to be presented to the Board, preferably at a regular monthly meeting of the Council. It should be presented by the individual or a representative of the organization making the request. The person submitting the request should be prepared to answer questions regarding the request. A vote on the request will be taken at the next regular meeting of the Council to allow the Board and membership time to discuss the merits of the request. Roberts Rules of Order, regarding the procedures to make motions, will be followed.